With essential curriculum to teach in addition to computer skills, teachers have to be creative and resourceful to ‘get it all done’. Then to ensure that students are engaged and interested adds another level of challenge! The activities in TechnoBudget develop financial literacy using a scenario that is understandable for young people. The project begins with students receiving an unexpected windfall for which they must create a budget. The budget must fall within specific restrictions. A pie graph is made to graphically depict the budget. Next, students go on a shopping spree using online resources. They organize, calculate, and graph the shopping plan. Finally, they write a report to justify their financial choices and share insights about money management. TechnoBudget follows a problem solving model. As they make their budgets and spending plans, students must apply critical thinking to organize their ideas, research purchasing options, compare choices, reflect upon their plan, and defend their reasoning. The report they write to justify their financial choices is the final communication step that reviews and explains how the solution was reached. Data management and probability is a core strand in the Mathematics curriculum. Students learn about gathering, organizing, and displaying data. When these learning expectations are applied to a real-life situation such as budgeting, shopping, and making a spending plan, students are much more likely to acquire the skills and understand their relevance. Children are consumers long before we teach them to be thoughtful, wise, and discriminating consumers. Giving them the skills to make good decisions about their spending and saving is essential. The math curriculum should include learning how to manage money responsibly. TechnoBudget begins with an activity where students gain insight into their own values and spending practices. They rate their habits to find out “Are you a spender or a saver?” As they design their own budget, following required restrictions, they build skills to make educated financial decisions. Optional extension activities include comparison shopping, consumer awareness, using a spreadsheet to calculate interest payments, and more. Designing a budget is a real world experience, not to mention an essential life skill. Receiving an unexpected windfall of money appeals to anyone and engages students. And getting to plan a shopping spree in TechnoBudget will hook even the most reluctant learner! Our students are avid consumers. They shop at the mall and online, and they influence family purchases. Inspire them to think beyond the price tag. The following activity encourages reflection and discussion about the impact on people and the environment created by the things we buy. When you are shopping, it is a good idea to purchase items from companies that are interested in more than just making money. Instead, support businesses that behave ethically and responsibly. Do they support workers, protect the environment, help communities, and make the world a better place? Consider an item that you would like to purchase. Visit the company website that manufactures or sells the product. Look for links that will tell you about corporate responsibility, sustainability, or community involvement. If you cannot find anything on the website, it may be that these issues are unimportant to the company. Look at the bottom of the company Home page. Refer to the Site Map. Search for keywords: About, Company, Environment, Sustainability, or Community. ☐ Power facilities using renewable or clean energy. ☐ Conserve resources such as water or power. ☐ Reduce waste with a recycling program. 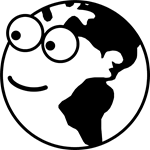 ☐ Package or ship products so they minimize environmental impact. ☐ Use suppliers that are environmentally and socially responsible. ☐ Care about worker’s health and safety. ☐ Support global or community organizations. ☐ Sponsor or participate in fundraising or charity events. ☐ Promote education with training, internships, scholarships, or school programs. Add the checkmarks. Should you spend your money with the company or shop elsewhere? The company cares about more than profits. They help people and the environment. Go ahead! Make a purchase. The company is making efforts to help people and the environment. However, they could do more. Is there another company that makes or sells the product that you could support instead? The company cares about profits. People and the environment are a low priority. Do not spend your money. Shop somewhere else! 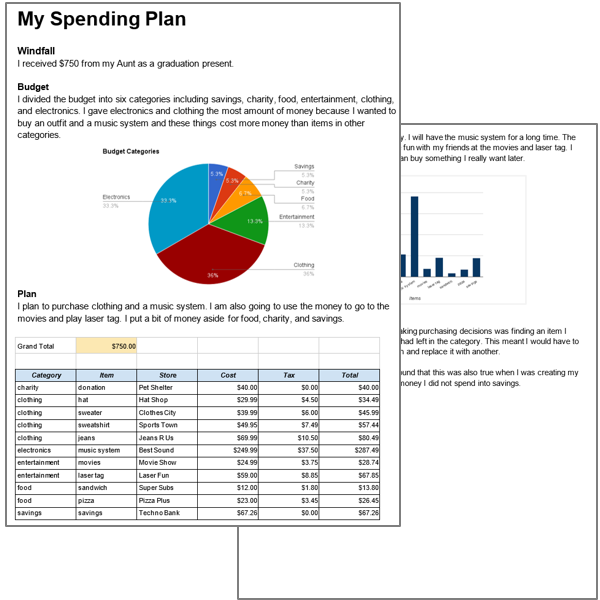 This activity is from TechnoBudget, a TechnoKids computer project to teach money management skills to middle and high school students using Google Sheets and Docs or Microsoft Office. You have received an unexpected windfall of money. How are you going to spend it? How much will you save? This is the introductory premise for students in TechnoBudget, TechnoKids’ most recent release in the Google Apps for Education series of computer projects. Building student interest in learning spreadsheet skills may be a challenge. But using a fun, meaningful, and appealing scenario will engage students and give context to their learning. If students find a task personally relevant, they are much more likely to feel motivated, become emotionally invested, and understand the value of the skills they are learning. In TechnoBudget, students draft a budget, develop a spending plan, go on an online shopping spree, and then justify their financial choices using Google Sheets and Docs. The project begins with students rating their personal money management style. They find out if they are spenders or savers. Next they receive a fictional windfall. 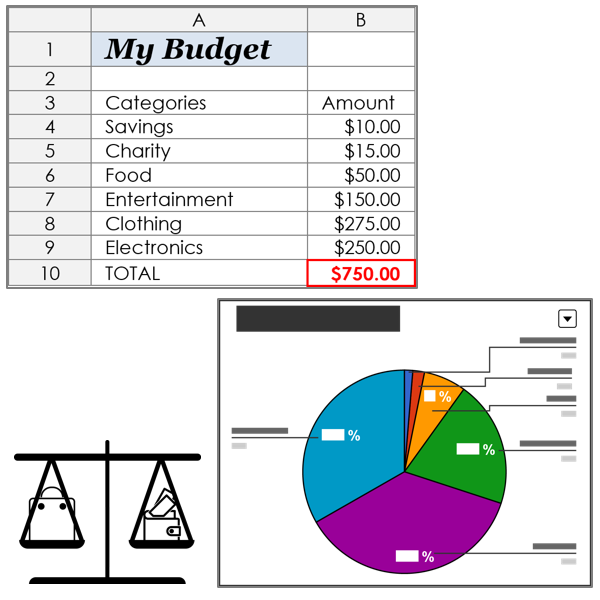 They must create a budget worksheet in Google Sheets within specific requirements for spending categories and saving. Making a pie graph of their decisions allows them to easily edit the amounts. The project concludes with a financial report. Students use Google Docs to justify their decision making. Guiding questions help students explain their choices and share their insights about money management. They include the graphs they have made to support their decisions. TechnoBudget includes a teacher guide, digital student worksheets, sample workbooks and budget reports, checklist, and marking sheets.